Satisfaction guaranteed. This statement is a little overused in the business industry, but the bottom line is Dr. Soot 'n Cinder wants every one of our customers satisfied. Whether it's a Chimney Inspection or Sweeping, or installing a Wood Stove with a Stainless Steel Liner. We want our customers satisfied. We can't stress it enough. Safety is the most important part of our business. Although, in the chimney sweeping industry "safe" is a word that is almost forbidden to say. This is due to the fact that burning anything, whether it's wood, pellets, gas, oil, etc. it is never completely safe. 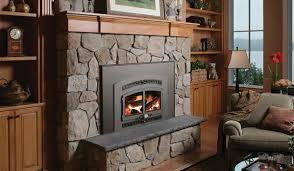 The only time a chimney is completely safe is when it is first constructed or has never been used. This being said, we want everyone of our customers to feel safe when we finish a job. Knowing your home is safe is one of the best feelings you can have. We will do everything in our power to make sure you have this feeling when we leave. So, even though your chimney will never be completely safe if you are using it, if we feel that anything is not the safest it can possibly be in our field of expertise, rest assured we will let you know. Has your chimney had it's annual checkup?
" Did you know the NFPA (National Fire Protection Agency) recommends that you have your chimney inspected every year? This may or may not lead to a chimney sweeping, but whether you have one fire or fifty fires you should at least have your chimney inspected. " Servicing Albany, Columbia, Dutchess, Greene, and Rensselaer Counties for over 35 Years. Dr. Soot 'n Cinder is a professional Chimney Sweeping company out of Ghent, in upstate New York. Established in 1980, Dr. Soot 'n Cinder has grown to one of the most well known Chimney Sweeping companies in the area​. With the utmost of professionalism and knowledge of one of the world's oldest professions, we have made our customers very satisfied with the services we supply. Services not limited to only Chimney Sweepings and Inspections. We will also reline your chimney with a Stainless Steel Liner, install a Wood Stove or Fireplace Insert, even put up a whole new Chimney System if so needed. We also can Preserve your Chimney, and do Masonry Repair Work. So, you could call us a full service chimney sweeping company. If there's a problem with your chimney we'll fix it. Dr. Soot 'n Cinder not only specializes in the many different chimney services listed above, we also do different types of installation work. Whether it's a new Fireplace Insert, a Wood Stove, or even a Pellet Stove Dr. Soot 'n Cinder can get the job done. ​respond to your inquiry promptly within 24 hours.